Currently PADI and AIDA are "equivalent" organizations so anything that you can get (recognition as a certified freediver, ability to dive with other freedivers, rent equipment from freedive centres) is the same. Even SSI, RAID, Apnea Academy... with recognize you as a certified freediver if you are certified by either AIDA or PADI. so either way you "get" the same things. From a freediver's (instructor/dive buddy) perspective theres (generally) more respect given to divers certified by AIDA than by PADI. The minimum requirements for a PADI course are super low (min.depth + rescue/safety requirements) compared to AIDA and considering the negative impact PADI had on SCUBA safety+skills thats always floating in the back of the mind. AIDA is also one of the leaders in freedive research and the learning materials have, although not as accessible as PADI's, a little more to give in my opinion. If you're interested in competitions doing an AIDA course will put you in the Database as a diver but thats not really significant but is nice. Basically as organizations, AIDA is interested in freediving for the growth of freediving, PADI is interested in freediving because its a growing sport and there's money to be made. If i'm being honest its more about the instructor than the agency. If you have a horrible instructor (happens a lot) it doesn't matter what agency you are diving with you won't get trained properly and the lack of skills and competency will show. In the UK ( Im assuming your profile is right and you're from london) you can either contact saltfreedivers (AIDA/PADI) based at the NDAC or Aquacityfreediving (SSI/PADI) based in Porthkeris. I've dove with both those instructors and worked with one of them, and they are both really good. You have the option of multiple agencies but like I said, its more about the instructor and you'll get what you need with those two schools. thanks! but by PADI open water i meant scuba. and yeah, im thinking about doing aida with saltfree divers. basically i guess my question is... on my own i can get about 10m deep and almost 40m in swimming pool (and so far i am happy with about half that to keep it safe), im mostly snorkeling, and going down only i see something fun. unfortunately living in london i would get to dive couple times a year so i dont believe ill make much deeper than that without a lot of practice...if doing scuba certificate would let me do "normal" open water guided dives, instead of a single "discover scuba", is there a point to spend 400£ for an AIDA 2* certificate if i basically can do almost all the same on my own? and yeah, i have heard all about not diving alone and know a lot of theory from youtube, but again.. diving 2-3 weeks a year, getting diving buddies would be not really possible... and regards actual practice... whatever practial skills id get, id forget all of them till next time i get to dive.. The point of doing ANY freediving course is to learn how to do things properly, and safely. If you go to a freediving school/club you can train with them..  Without a freediving certification you wont get to do freediving with anyone, and you shouldn't, because you are a risk to yourself and a risk to them. A PADI scuba course wont let you freedive on PADI trips, thats what PADI freedive courses are for. Its posssible to get dive buddies 1 day a year if you contact clubs and let them know your going to where ever they are (assuming you are certified).. If you do a course with saltfree i'm pretty sure you get full freedive kit.. if not you'll need to rent a wetsuit. You're lucky to be able to have 3~4weeks of openwater dives (be it scuba or freediving), i live 650km away from the coasts, and i only have 10days each year in summer to go to beach, or dive (so far i only did a 5meters deep dive in low visibility). most of the time i'm training DNF/DYN in pools. The thing is, i falled in love with freediving, after i did snorkeling 3 years ago, i saw videos of people freediving. I always saw scuba (it get more publicity), but scuba gear is expensive, and going on trips is expensive too. The thing with freediving, it adds up to your snorkeling, you can skin dive more confidently within your limits. and you're ready to face any challenge (rescue, swim against current, stay underwater when faced by waves ). I spent years trying to get better at surface swimming, but it was so disappointing, while i learned so much from freediving in just 2 years. Seems like you're interested more into scuba than freediving, but freediving will be a huge plus to your scuba diving, you'll be more O2 efficient, you'll be better at underwater swimming than your peers, and you'll know how to not over-weight yourself and rely too much an oversized PCB, and you can handle yourself better in emergencies (scuba gear failures).